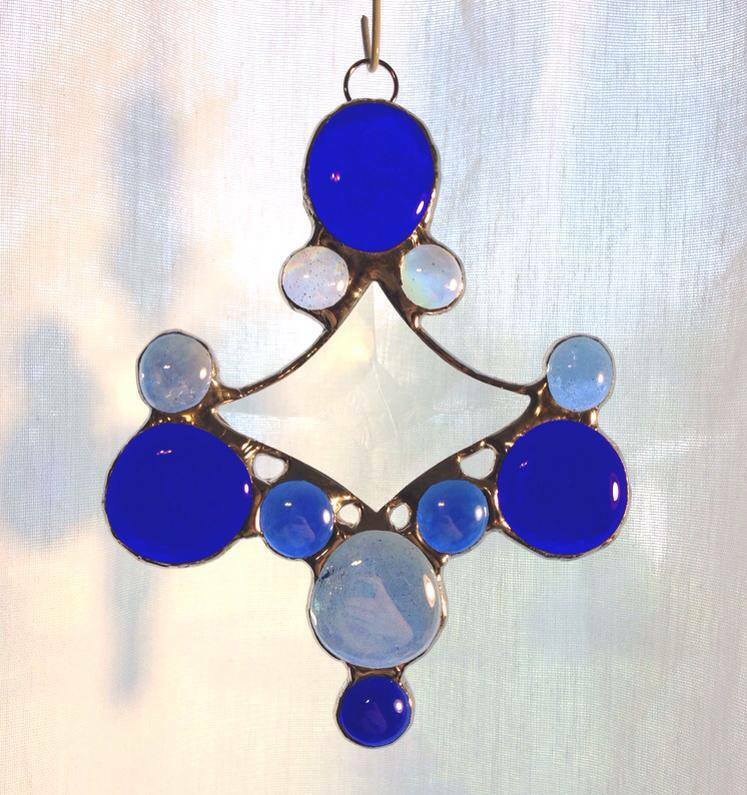 Suncatchers are a great way to add color and sparkle to any home or office. They're not just beautiful in windows, but look great hanging on a Christmas tree, wreath, or even on the wall as a small decoration. Their small size and affordable pricing makes them perfect for giving as gifts. 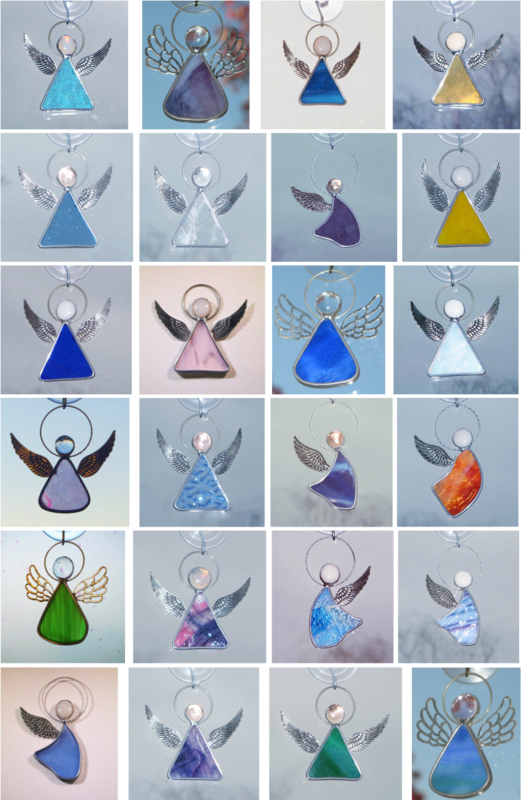 Angel Suncatchers in various shapes sizes and colors. Most are about 3-4 inches tall. 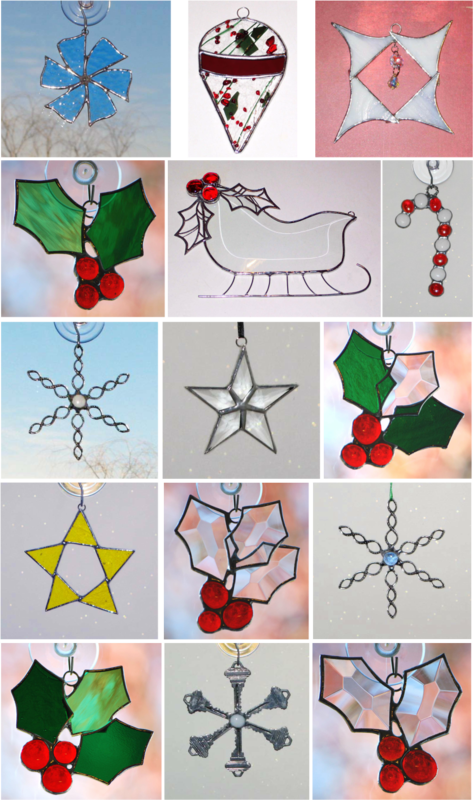 A lot of the suncatchers I make are small enough to be hung on a Christmas Tree. 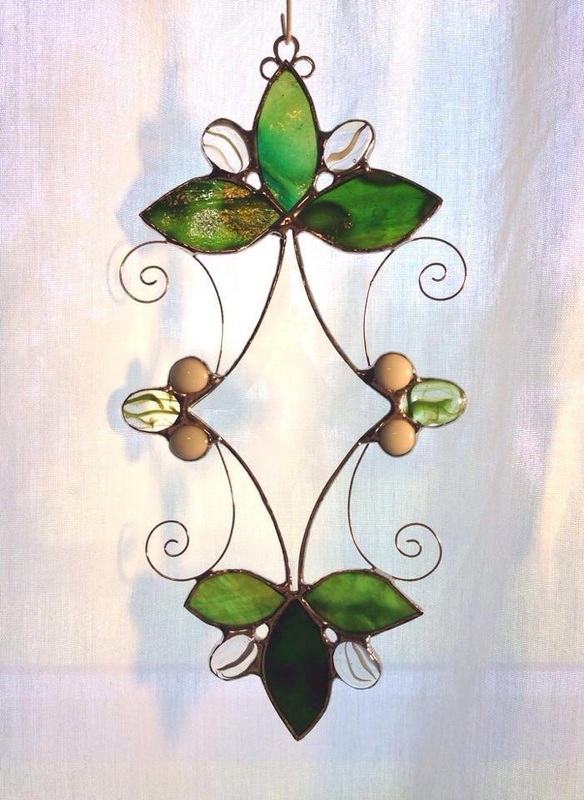 These were made with being hung as an ornament in mind, but they will also look beautiful as a suncatcher in the window. Flowers, snowflakes, candy canes, holly, stars, and jeweled ornaments all make for great Christmas Tree decorations! 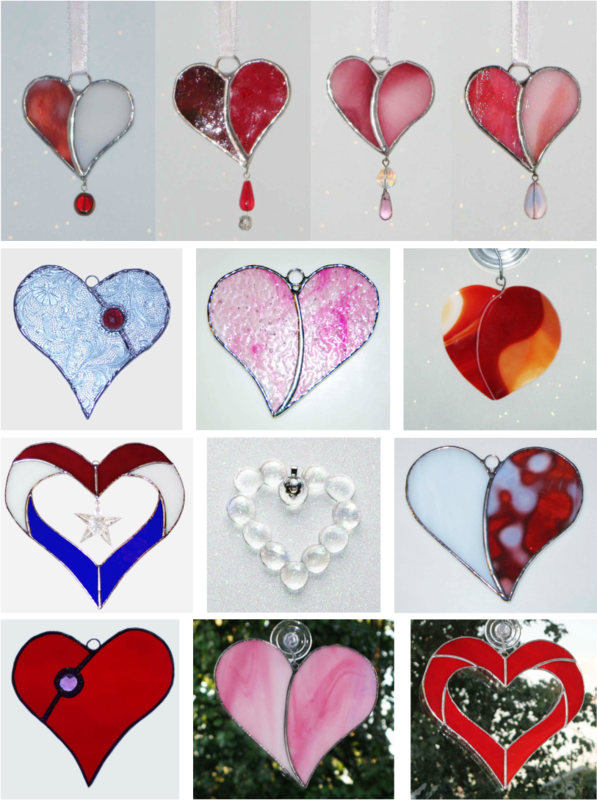 Glass heart sun catchers and ornaments. A great way to give a lasting symbol of love. Feelings of trees and fern and berries and nature. This was a fun piece to make.